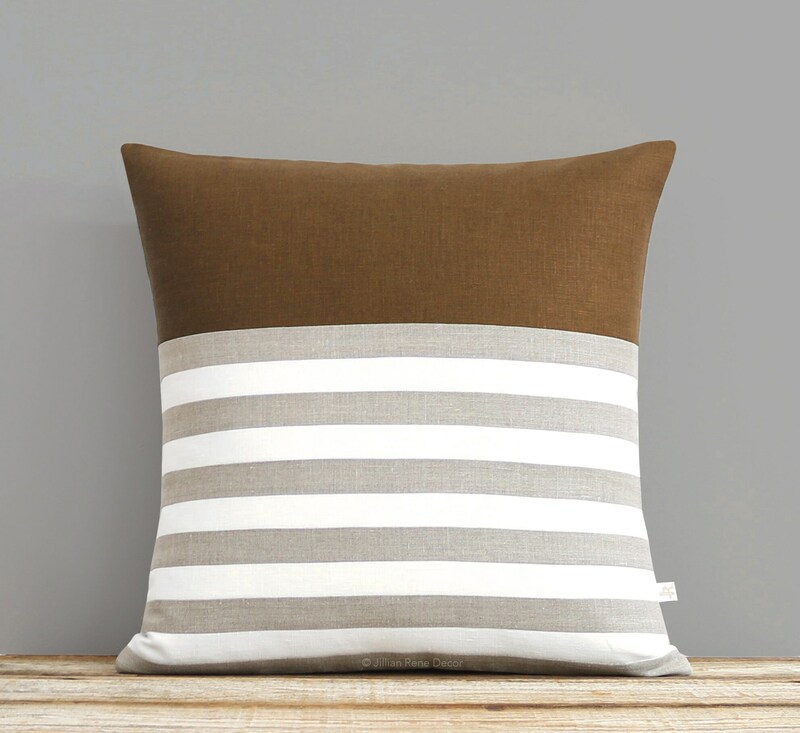 Patterned stripes in caramel, cream and natural make a classic statement with this linen pillow cover. Think breton stripes! Coordinates perfectly with our signature colorblock designs. 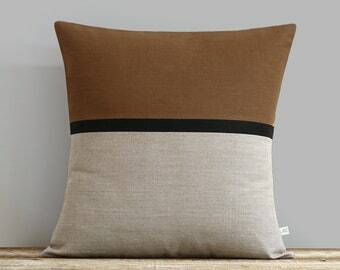 This handsome pillow will make the perfect accent on a chair, sofa, window seat or bed. 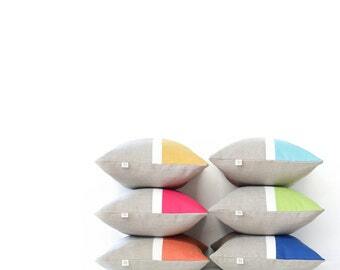 It would also make a perfect housewarming gift too! Pillow Cover: 18" x 18"
- Front: caramel top with natural and cream stripes.